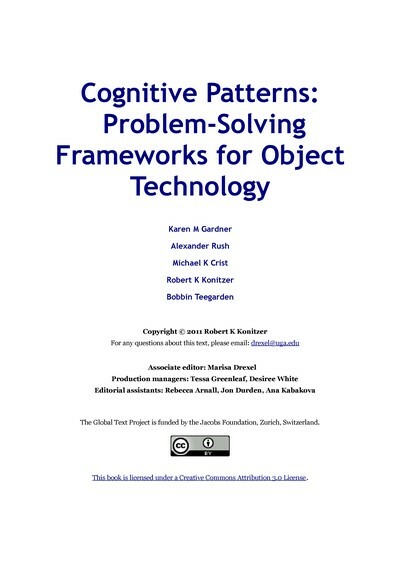 A programming paradigm that uses objects to design applications and computer programs. It utilizes several techniques from previously established paradigms, including inheritance, modularity, polymorphism, and encapsulation. A beginner's introduction to Ada 95. Uses an example-driven approach that gradually develops small programs into large case-study type programs. 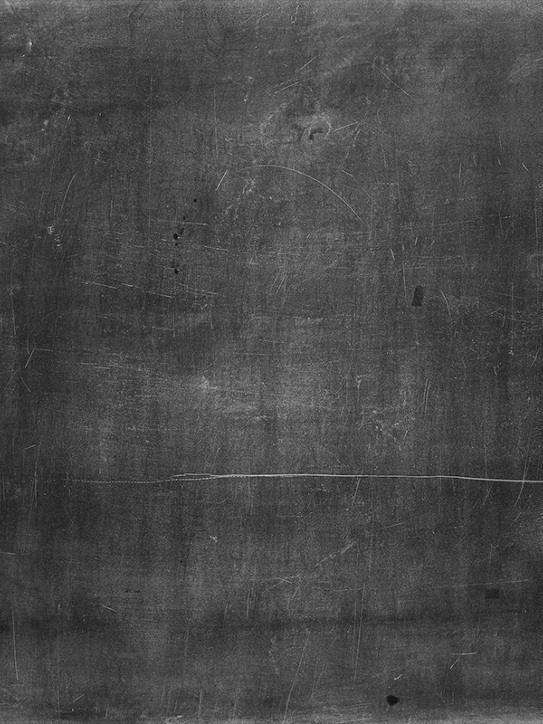 Focuses on using object-oriented approaches to write maintainable, extensive programs. 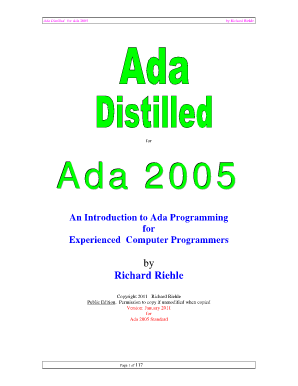 This book is aimed at experienced programmers who want to learn Ada at the programming level. Presents a complete methodology for adaptive programming in any object-oriented language. 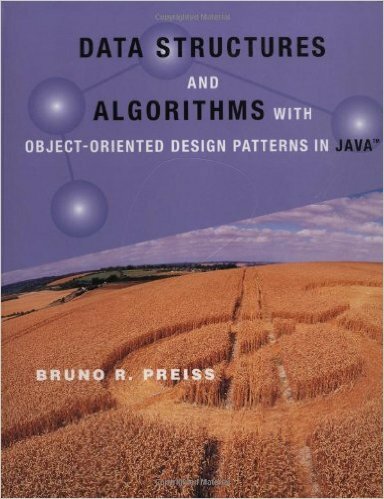 Covers the fundamentals of data structures and algorithms -- the basic elements from which large and complex software artifacts are built -- using Java programming language. Introduces object-orientation as a new programming concept which should help the reader in developing high quality software. 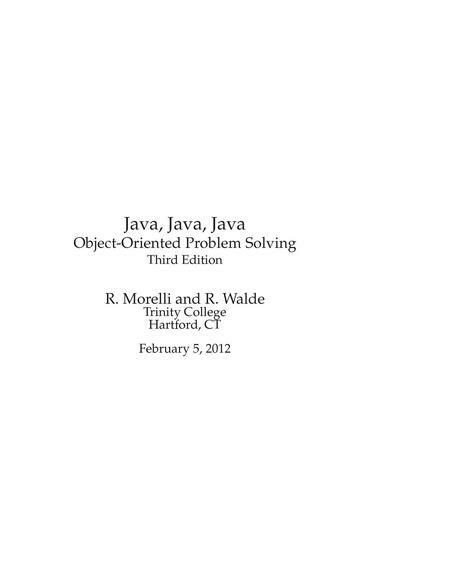 Teaches object-oriented with Java from the beginning, covering conditionals and loops quite early. The emphasis is on software engineering, not on language details. Contains loads of exercises. A suitable book for a typical Introduction to Computer Science (CS1) course or for a slightly more advanced Java as a Second Language course. Teaches object orientation using Borland Delphi. Assumes familiarity with the concepts of structured programming and concentrates on principles that apply specifically to OO programming. 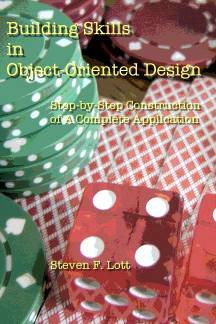 Provides students with a simple, clear, analysis and design notation, a good basic understanding of the concepts of object oriented systems, a method for construction of analyses and designs and some discussion of the implementation of design. Designed for students and programmers who wish to learn object-oriented programming using the language Ada 95. Uses numerous examples to illustrate the ideas of encapsulation, inheritance and polymorphism. 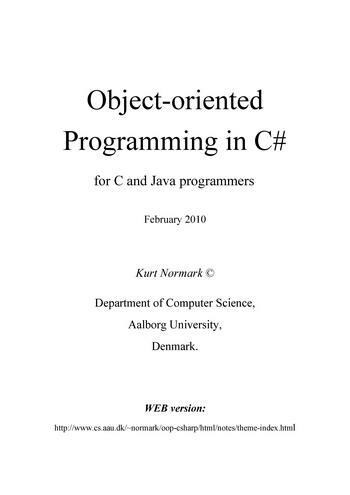 Fully documents the Objective-C, an object-oriented programming language based on standard C, and introduces OpenStep, an extensive object-oriented development environment. 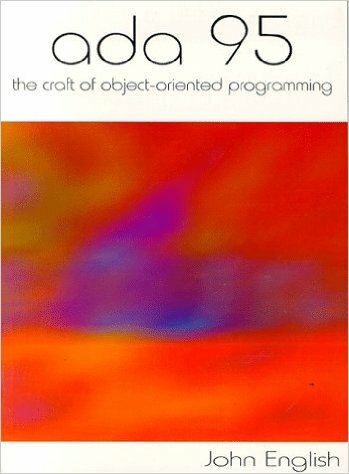 A teaching material about object-oriented programming, illustrated with use of the programming language C#.